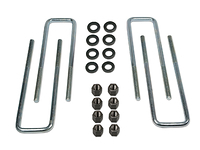 Firestone Ride-Rite air bag helper springs are the work horse of the Firestone line. 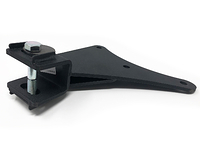 The double convoluted air bags offer maximum load support as well as years of worry-free service. These are installed between the frame of your vehicle and the suspension, providing load support through the use of air pressure. 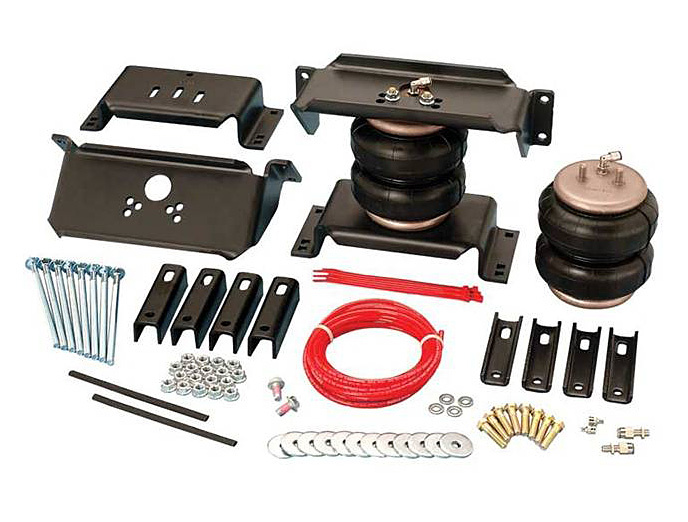 Specifically designed to maximize the safe load carrying capacity, stability and ride quality. Will also reduce the suspension fatigue on leaf springs caused by permanently sagging. 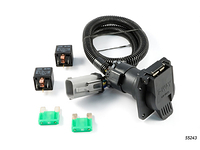 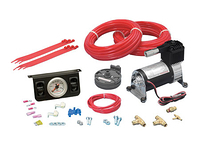 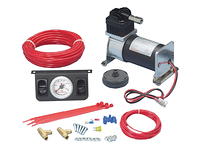 An optional air control kit (air compressor kit) can be added (not required) for additional convenience.